Holiday time is magical, I always say that to my kid. People may not notice it right away, but it exists if you want to join and be part of it. Last year we participated in the CTV toy drive and I remember my boy gave a toy without any hesitation. He was happy and excited just to be a part of giving and sharing. I know kids learn by example. If parents show how even a little contribution can make a difference, this definitely helps kids, even very young, to understand the importance of giving back to people and community. Everything starts with the family. I reminded my boy the time when he was sick and his aunt called him. How happy he was after their short conversation and how little he needed to feel better. I told my boy that he can help other people to have the same feeling, helping, for example, his friends, by sharing his toys and books, teaching younger cousins letters and numbers or treating our guests with a delicious creamy hazelnut KINDER Mini Eggs. And he sees that his attention, care and toys bring so much joy to other people. It was amazing to learn that for the second year, KINDER has partnered with Children’s Miracle Network with the “A Joy To Share” program. 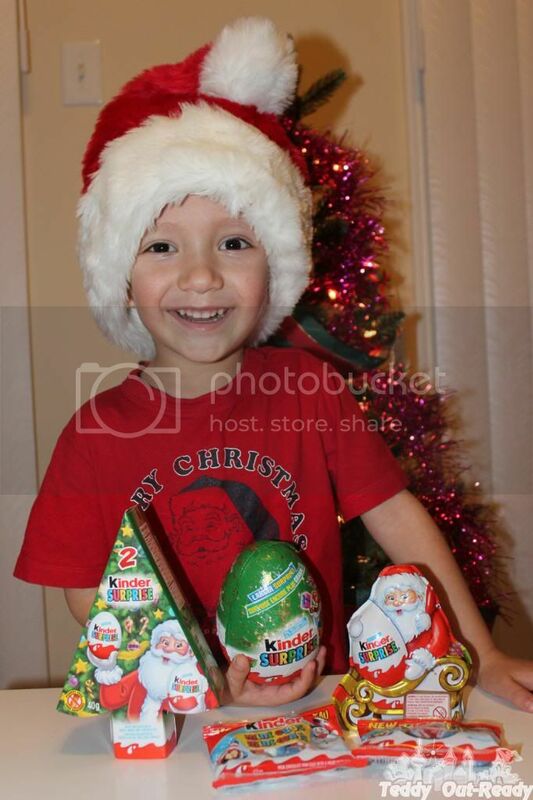 The “A Joy to Share” program is one of the ways KINDER is helping bring joy to families this holiday season. It is a wonderful opportunity to teach our kids about what it means to help others. We were excited to create a holiday greeting card for the children in a Children’s Miracle Network member hospital. 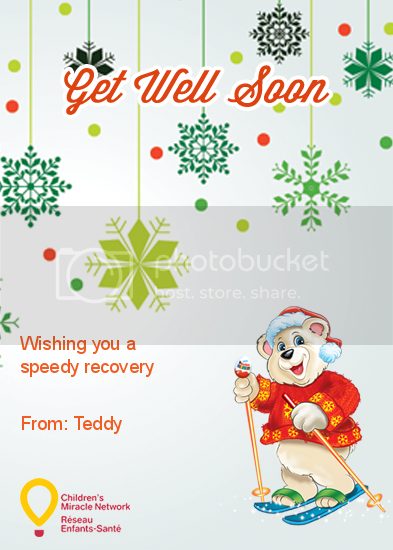 My boy was so involved in creating saying that his card can help recover another boy or girl in a hospital. So inspiring, you can do this too - for each greeting card that is created, KINDER® will donate $1 to the Children’s Miracle Network up to $25,000. Hahha... That hat is too cute on him. You are so right... Everything starts with the family and teaching children to help others when they are young is a wonderful thing. What a great program! I am currently teaching my 4 yr old what it is like to give back. I think shes doing good, but this is a great way to get her involved even more! Great program. Giving back is one of the most valuable lessons that we can teach our children. Giving back is very important in this day and age when there are a lot of people hurting out there. I agree that if parents start by example it will ultimately rub off on their children. A very good thing! I'm sure the children will love the holiday card that your son helped to create. This sounds like a wonderful program that focuses on the true meaning of Christmas - giving to others in need. And yet another reason to absolutely LOVE Kinder!! I adore Kinder, and all of their goodies, even though we can't get my favorites in the USA; but I love to support them when I can. I love this giving back program. I love the greeting card feature that Kinder has on their fb page. Teaching kids at a young age about the joy of sharing and giving will help them later on appreciate the things they have. What a fun way to emphasize the true meaning and spirit of Christmas with kids. I love this idea. Thanks so much for sharing it. Kinder seems like such a great company. My kids and I have always loved their products and making the little toys inside. It is so important to teach our children at a young age to give and help others. What a great thing you are doing. I never knew that Kinder partnered with Children's Miracle Network. 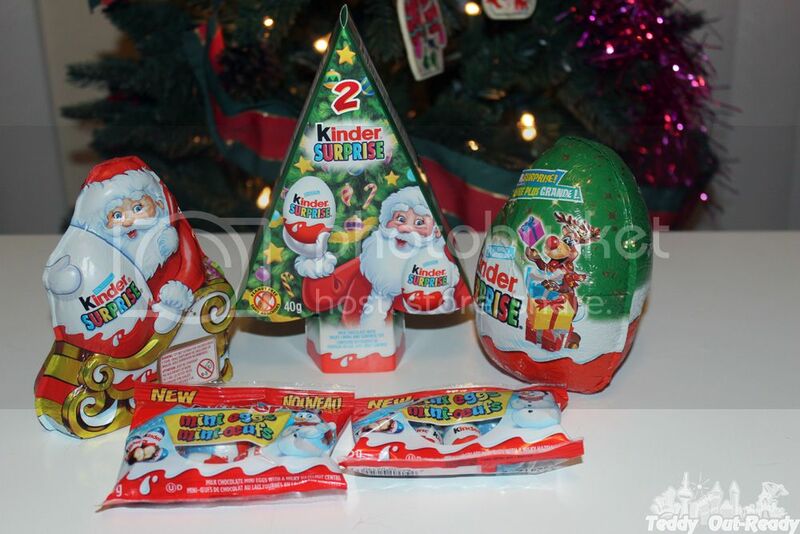 We love Kinder products and it's nice to see that they support such a great organization. We don't have Kinder in the US that I know of, but it is great that they partner with the CHildren's Miracle Network. My 1st grader is learning about kindness and compassion in school this month. I will show her this program. What a nice program. My daughter is learning about caring for others through Girl Scouts. That is so cute. Love it and what a nice program - this would be great for my nephews I will shot them it. and BTW I love Kinder Eggs. What a great program and a great company. I've never heard of them before but I love what it all stands for. Will have to look into this some more. Thanks for sharing. I think it is so important to teach kids to help and give to others. We instill this in our own boys and love that this program is sending this message to so many people. What a great program and great way to teach children how to give back. Love the card that you created. I bet the kids have fun doing that. This sounds like an amazing program! It looks so fun too! Kinder is a company with a heart. Children's Miracle Network is a wonderful program. It is nice that not only are they donating money, but encouraging people to do something nice for these kids. I will have to give their chocolate a try. what a truly great way to share and showmyou care. Kinder is my favorite candy in the world! It's super cool of them to be giving back this way. Our family created 5 cards! Thank you for the opportunity to do so. I've never heard of Kinder candy before! But I absolutely love this program! I love Kinder and made my own card!